After an early training as chorister in the Coro dos Pequenos Cantores de Coimbra, Luís continued his musical studies at Coimbra Conservatory, while also achieving a Licentiate Diploma in Economy from the University of Coimbra. He subsequently obtained a Portuguese Government scholarship to research, edit and perform 16th and 17th centuries Portuguese music, while completing his Masters in Music at the University of Aveiro. Presently, he is a PhD student in Art Studies | Music Studies at the University of Coimbra and researcher at the Centre of Classical and Humanistic Studies of the same institution. 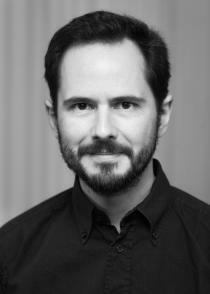 Alongside his position with Ars Nova Copenhagen, Luís is the music director and member of Cappella Musical Cupertino de Miranda. He is also co-founder of La Farsa and a member of Grupo de Fado Aeminium, Capela Gregoriana Psalterium and Coro Casa da Música. He works regularly with other groups, such as The Brabant Ensemble, Theatre of Voices, Contrapunctus, Musica Ficta, Vocal Ensemble and Ludovice Ensemble.